The story is told by a young 'unknown soldier' in the trenches of Flanders during the First World War. Although there are vividly described incidents which remain in mind, there is no sense of adventure here, only the feeling of youth betrayed and a deceptively simple indictment of war - of any war - told for a whole generation of victims. 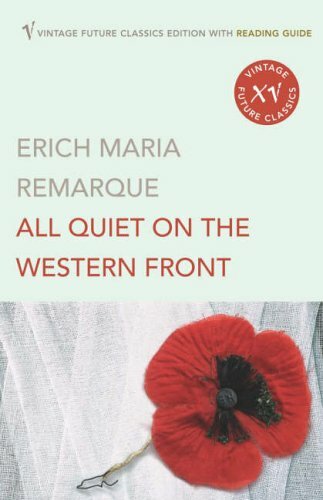 All Quiet on the Western Front is probably the most famous anti-war novel ever written. The story is told by a young 'unknown soldier' in the trenches of Flanders during the First World War. Through his eyes we see all the realities of war; under fire, on patrol, waiting in the trenches, at home on leave, and in hospitals and dressing stations. Although there are vividly described incidents which remain in mind, there is no sense of adventure here, only the feeling of youth betrayed and a deceptively simple indictment of war - of any war - told for a whole generation of victims.